Proverbs 19 addresses that word that has, sadly, been associated with wives since the Fall of Adam I'm guessing. Ready for it? Nagging. "A nagging wife annoys like a constant dripping." So what exactly is a nagging wife? Whether we like to admit it or not, we've all been guilty of finding fault in our husbands at one time or another. We've probably all complained and well, I'd hate to count the number of times I've shown impatient irritation towards my husband and no doubt, it was over some trifling annoyance. I don't want to come away from this series overwhelmed by the incredible amount of areas I need to work on and I certainly don't want you to, either. What we need to keep focused on is that, while we'll never have it all together this side of heaven, we can slowly become more and more Christ-like in our speech and actions when we apply the truths of God's Word. We're still going to be impatient, unloving, selfish and in need of daily love and forgiveness. But each selfless action, each word spoken lovingly, each time we bite our tongue and choose love instead will be one more step towards building our homes instead of tearing them down. They become glimpses of the healing change of Christ in our broken lives. One reader put it so well when she said, "Just knowing and understanding God's plan is healing." God's plan is healing because it shows us what to do. We know what to do and sometimes that's the hardest part to figure out. 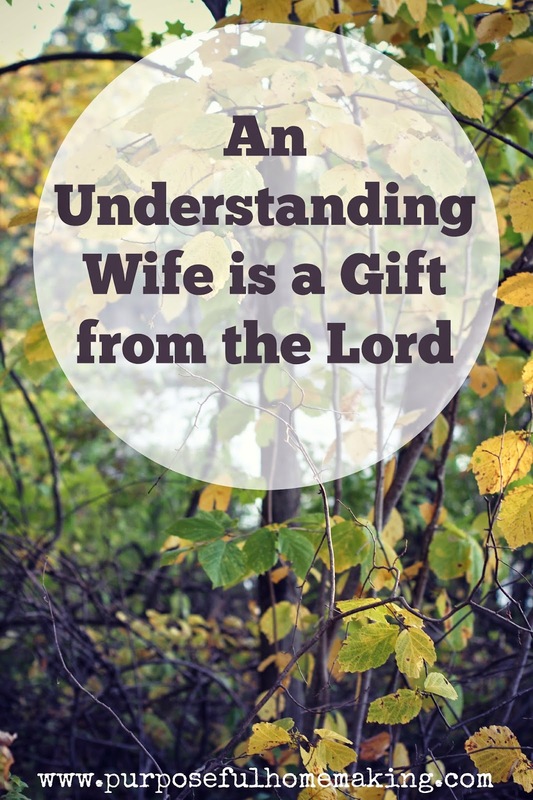 It's so encouraging to know that chapter 19 also tells us that "only the LORD can give an understanding wife." Becoming a wife that shows loyalty and kindness to her husband, speaks life-giving words, plans for peace and joy in her home, chooses gentle words and so much more is only a result of the work of God in her heart and is a gift from Him to our husbands. 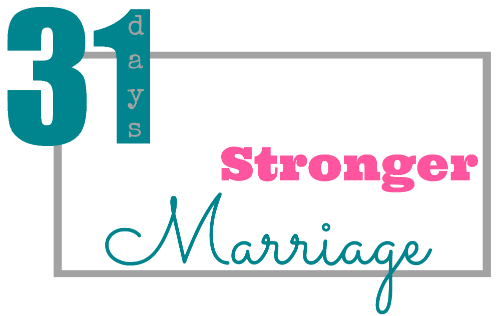 Thank you for pressing on through this series of 31 days to a Stronger Marriage. I know it has been a lot to take in and (hopefully) apply to our lives, but I know the study of God's Word will always produce a great harvest in our soul. It is that truth that pushes me to keep going, to keep studying these chapters and to keep working the posts over to make sure I'm communicating effectively. My family has faithfully prayed for me throughout this series that God would help me write the posts and that these devotions would encourage other women in their marriages. I hope you feel blessed to know that little children are praying on behalf of your marriage. I know it blesses me. Join me tomorrow as we study Proverbs chapter 20. Just getting started on the series? Catch up with all the posts on my landing page between now and October 31. This post contains affiliate links for which I will earn compensation should you choose to make a purchase. I am disclosing this information in accordance with the Federal Trade Commission’s 16 CFR Part 255, Guides Concerning the Use of Endorsements and Testimonials in Advertising. Thank you for your support of Purposeful Homemaking. This really speaks to me! I need to work on speaking life-giving words to my husband and not nit picking.